What do I need to do to make sure my registration is complete for camp? 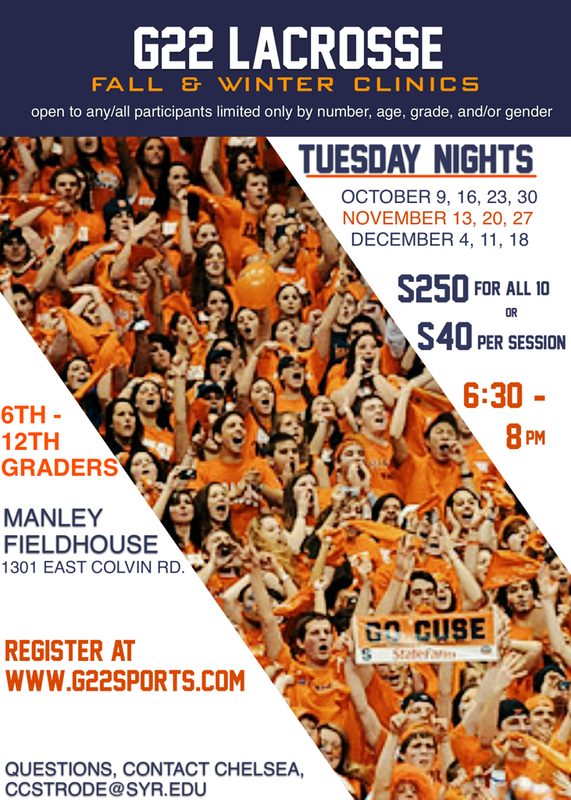 If your daughter has been injured in the last 6 months please e-mail a clearance note to, ccstrode@syr.edu. If your daughter will me on any medication during camp, please complete the medication authorization form which you can find here, and e-mail to ccstrode@syr.edu. you can purchase cancellation insurance for $35 before camp begins (find form here). This will cover you in the case of cancellation and you'll receive a full refund. If you do not have cancellation insurance and something comes up, we can credit you for the amount for a future event within the year. ©2019 G22 Sports / SportsEngine. All Rights Reserved.